High Quality India ODI Kit 2014 for EA Sports Cricket 07. 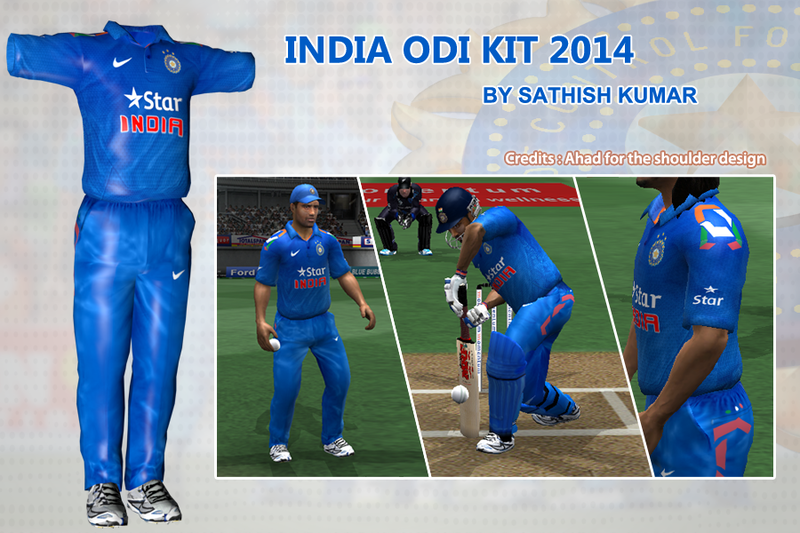 Download now India ODI Kit 2014 Patch for EA Sports Cricket 07 here. With Star as new sponsor for India Test Team, Nike made kit is professionally designed by Sathish Kumar for EA Sports Cricket 07. This amazing kit looks so charming in game. Awesome stuff by our modder PSK on this high demanding Indian kit. Download the RAR file, extract it and copy paste all .fsh files in main Cricket 07 root directory. I downloade India 2014 kit but it's not working.Please help.